Of all the food I enjoyed eating around the Christmas season, the one that holds the sweetest memories for me is BALONEY SALAD sandwiches. Every Christmas Eve, Granny would make a batch large enough to feed Harlan County for our party at her house. I could hardly wait to sink my teeth into a few of them. BALONEY SALAD is the poor man’s ham. At least that’s what my family said. 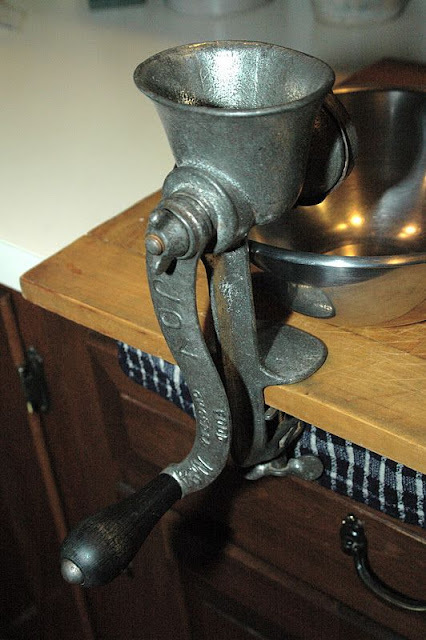 Fitted to Granny’s kitchen table was a metal meat grinder. 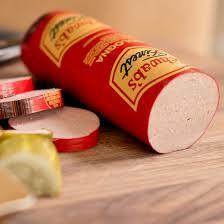 She peeled and cut the baloney into large chunks and fed it through the grinder. It came out into a big mixing bowl, looking like baloney spaghetti. Then she fed the boiled eggs through the grinder, according to how much she was making. 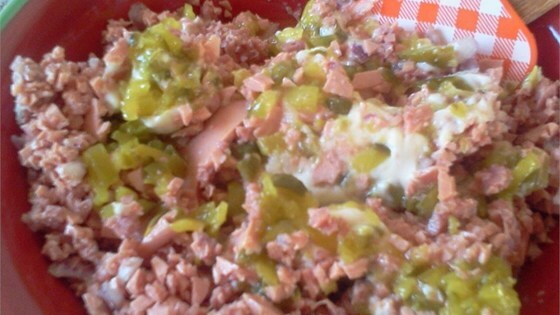 Next, she chopped up her gherkins into tiny little bits and added them to the mixture. Mayo came last. Then she stirred it all up together until it became BALONEY SALAD. Sometimes I got to help with the process. 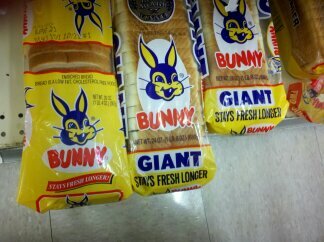 She especially let me help spread the salad onto fresh white Bunny Bread. That fresh, soft bread was the best in the world. 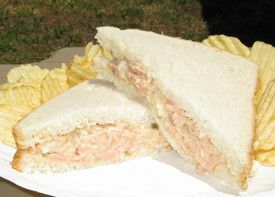 The sandwiches were sliced into two and then placed on platters, covered with foil or Saran Wrap, and then plopped them into the fridge until the party. 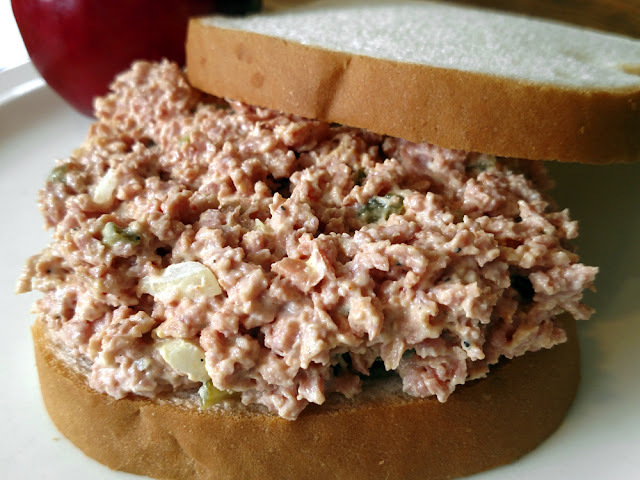 When the family arrived and the party was on the way, everyone dived into those BALONEY SALAD SANDWICHES as if they hadn’t eaten anything since Thanksgiving. There was rarely a morsel left at the end of the night. Yes, those sandwiches still bring a smile to my face when I think about them. 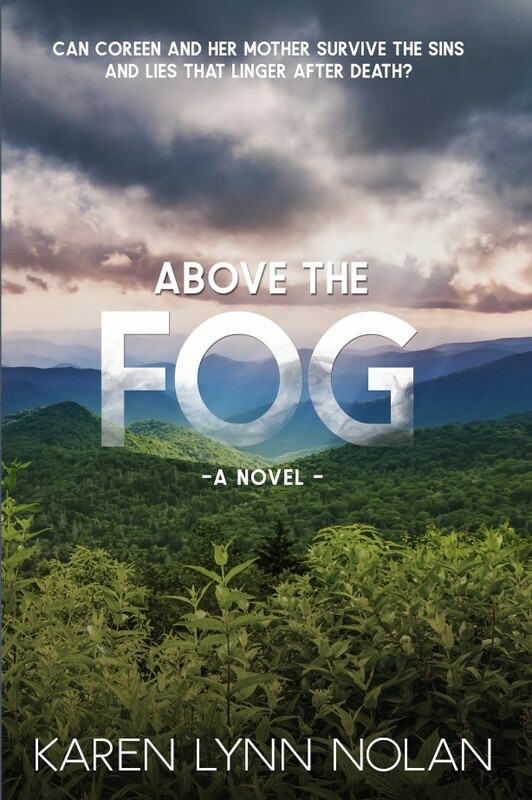 As I get older, I realize how special growing up in the mountains truly was. We didn’t have much, but we were abundantly wealthy. Wealth should be measured by your attitude toward your blessings. As we near the time when we are expected to make resolutions for the new year, how about we look back on our lives and choose to find the blessings in even the smallest of things? I think it could add a lot of joy to our lives in the midst of such suffering and negativity continually being thrown at us. What’s one memory from 2016 that you count as a blessing? The appropriate word for the week, considering this is the first day of Winter, is one of my favorites -- SNOWCREAM! 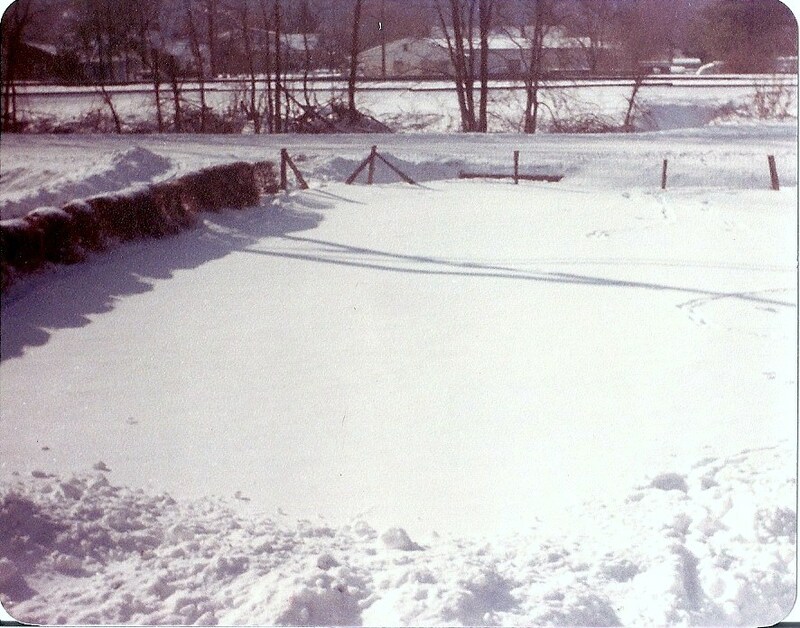 As a youngster in the mountains of Harlan County, KY, I lived for the days when a massive snow covered the landscape. Not only did I enjoy playing in the snow, sliding down the mountainside in a saucer sled, and building a snow fort with my brother, but I loved making SNOWCREAM. Of course, the process of making SNOWCREAM required us to collect fresh, clean (emphasis on clean) snow before anyone got outside and dirtied it up. We gathered up all the largest pots and bowls from the kitchen and headed outside. Now, there is a process to gathering snow. Since almost everybody around us heated their houses with coal, we had to first rake off the top layer of snow to remove the black spots of ash that had dropped onto the top layer. That completed, we began scooping snow into our bowls and pots. Of course, we made sure not to scoop too close to the ground. Lots of dogs and wild animals used the ground for a litter box, so we made sure to avoid any yellow or brown snow. We also didn't want to get grass trimmings in our snow. After gathering up all of our bowls and pots, we carried it inside to Mom, who was waiting with the bag of sugar, can of cream, vanilla flavoring and the salt box. She also had the hand mixer ready to get the job done faster. She took the largest bowl and checked to make sure it was clean snow. Then she added about a cup of sugar and started mixing. Then she added pure cream out of the can. Some people make it with milk, but the flavor is nowhere near as good. Then she added vanilla flavoring and a pinch of salt. As the snow melted down, she scooped in more snow and the process continued until every bowl and pot of snow had been added to the mixture. She continued to add sugar and cream until the concoction was perfect and creamy. She scooped out a bowl of snowcream for each of us and then put the main bowl into smaller bowls that would fit into the freezer for later. Oh, what JOY to sit in front of the coal stove and eat that snowcream! Our fingers were numb and so were our lips, but we didn't care. It was glorious. As we made our way through the main bowls of snowcream stored in the freezer, we sometimes added a bit of flavor to the mix. A favorite was Nehi Grape pop. We also tried peach pop, strawberry pop, or chocolate pop. If you don't know what pop is, you may call it soda or soft drink. Back in my day, we had some wonderful flavors available. 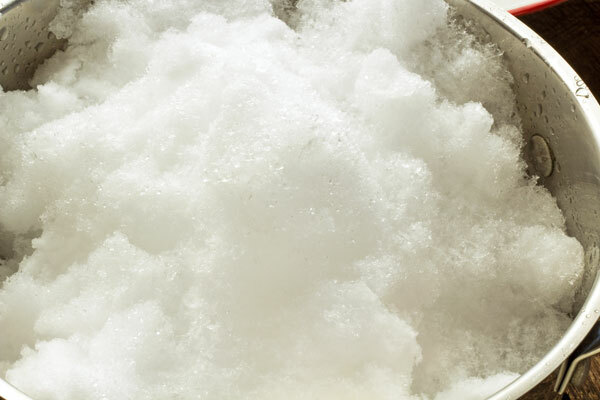 So, if you are fortunate enough to get a big snow where you live, why not give it a try and make some SNOWCREAM for yourself? Just make sure you watch out for yellow or brown snow. Exact recipes don't work for our snowcream. You have to go by taste. If the mix is too sweet, add some snow. If it's not sweet enough, add more sugar. If it's not creamy enough, add more cream. You get the picture. 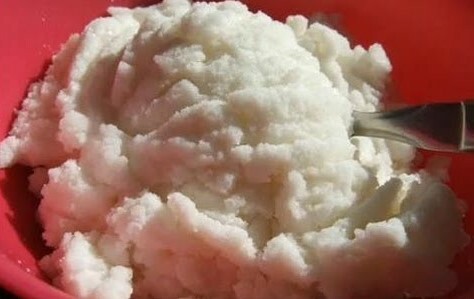 Have you ever eaten SNOWCREAM? Tell me about your experience. Not everybody called them that, but my mom and granny always used the term SWEET PILLS to describe all those luscious sweet confections we only got to eat during the Christmas season. My all-time favorite is the FRUITCAKE. Now, this isn’t the kind of fruitcake of jokes. 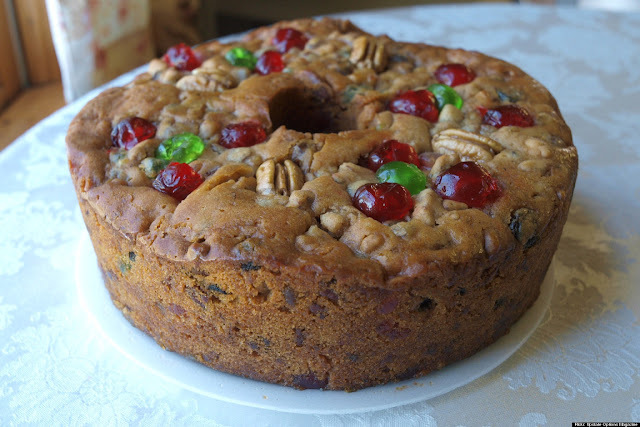 Mom’s fruitcake was moist, spicy cake with candied fruit, raisins, and black walnuts. The best part of the cake was the top and the edge. Oh, my goodness, the chewiness made it heavenly. Nothing else compares. I truly miss those cakes. Mom always hid the cakes, wrapped in tinfoil, somewhere in her bedroom. She doled out tiny slices only when she wanted to share. It nearly drove me crazy waiting for her to be in the mood to be generous. 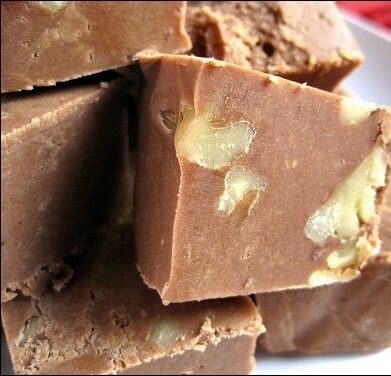 Another popular treat in my house was FUDGE made from marshmallow cream. 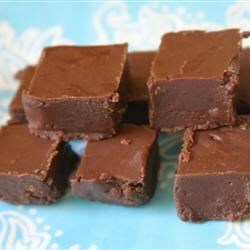 Mom wasn’t the greatest cook in the world, but she was a master fudge maker. She generally made two large batches—one was plain and the other had English walnuts in it. She poured the melted, creamy mixture into large platters. When it hardened, she sliced it into pieces. Most of the candy was hidden away like the fruitcake, but she usually left the smallest plate of fudge on the kitchen table for us to nibble on. I had a hard time staying out of the kitchen. And then there was the APPLE STACK CAKE. The batter for this cake is totally different from most cakes. 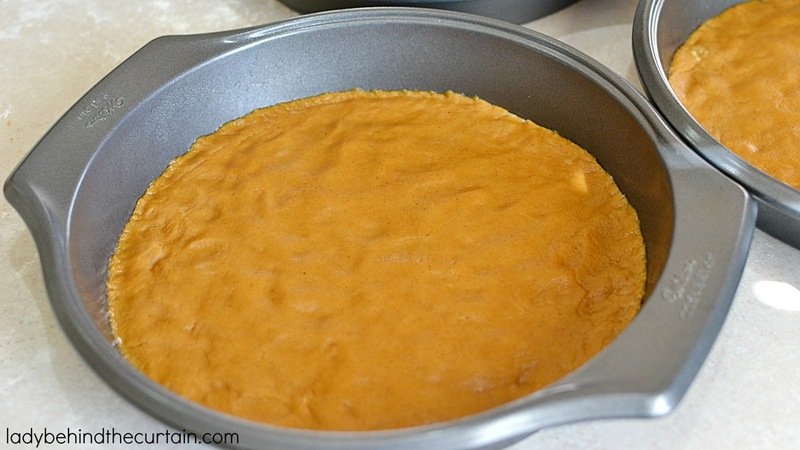 It is thicker consistency and you spread a thin layer into round pans to bake. It took forever, it seemed, because Mom only had two round pans. The first two layers had to cool enough to be removed safely before she could use the pans again to bake the next two layers. While she waited between layers, she made the filling. 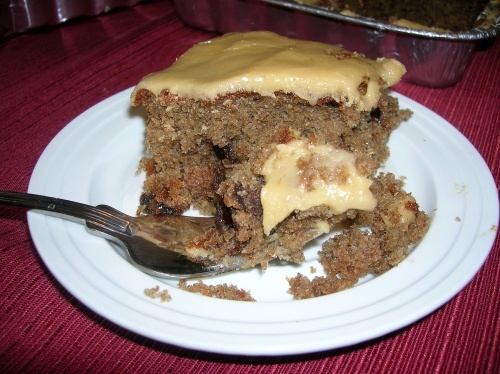 After every layer had cooled, the cake was built by placing a layer, spooning on some of the apple mixture, and then the next layer, until it was completed. My granny always made a BLACKBERRY JAM CAKE. It wasn’t my favorite because it was so sweet it gave me a tummy ache. I much preferred fruitcake. Her cake was quite popular with all the other houseguests, though. One thing mountain women do at Christmas when they bake up a storm is to share. I remember my mom wrapping up pieces of cake or candy in tinfoil and then Christmas paper and tying it up with ribbon. She then dispersed her gifts to special people in the community. I remember her giving some to our garbage man, too. If you’d like to try one of our mountain SWEET PILLS, I’ve given you the recipes from family files. Enjoy. Next week, I’ll tell you about another treat we only got to eat in winter. Do you have any favorite SWEET PILLS from your mom or grandmother? I'd love to hear about them and where they originated. 4. Beat the brown sugar and butter in a large bowl until light and fluffy. 7. Divide dough into seven portions of about ¾ cup each. 8. With floured hands, pat dough into prepared pans. 9. Bake about 10 minutes or until golden crust forms. 1. 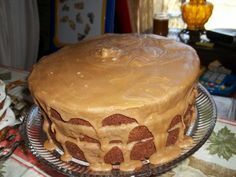 Place one cake layer on a large, flat plate or cake plate. 2. Smooth an even amount of hot dried apple filling on top of the one cake layer. 3. Add the second cake layer onto the dried apple filling. 4. Put the dried apple filling on top of the second layer. 5. 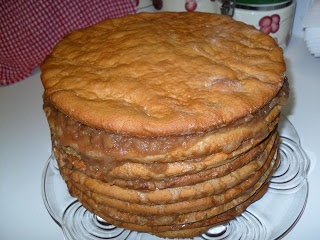 Repeat until all seven layers are stacked one on top another BUT do not put the apple filling on the top layer. 6. Cover the cake and place in the refrigerator (or cool place) for 24 to 48 hours. 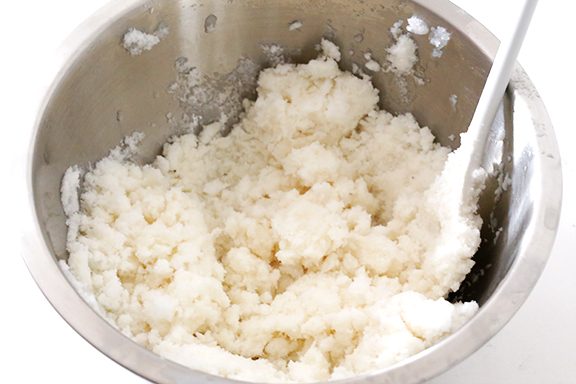 In a large bowl with an electric mixer cream together the butter and the sugar until the mixture is light and fluffy. 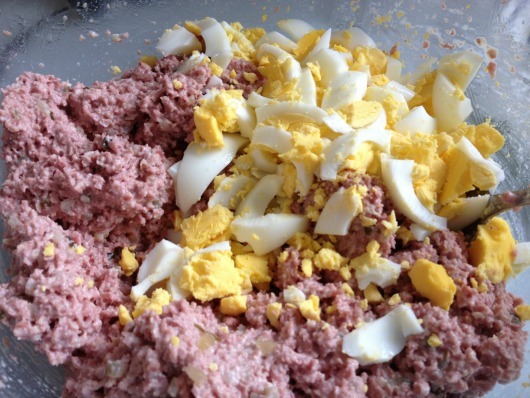 Add the eggs and combine the mixture well. Into a bowl sift together 3 cups of the flour, the allspice, the cloves, the cinnamon, and the salt. In another bowl combine the buttermilk and the baking soda. Add the flour mixture to the butter mixture in batches alternately with the buttermilk mixture, beating well after each addition. In a bowl, toss together the raisins, the nuts, and the remaining 1 tablespoon flour and stir the mixture into the batter with the jam, stirring until the mixture is combined well. Line the bottoms of 2 buttered 9-inch cake pans with wax paper and butter the paper. Pour the batter into the pans and bake the layers in the middle of a preheated 325°F. oven for 40 minutes, or until a tester comes out clean. Let the layers cool in the pans on a rack for 15 minutes, invert them onto the rack, and let the layers cool completely. 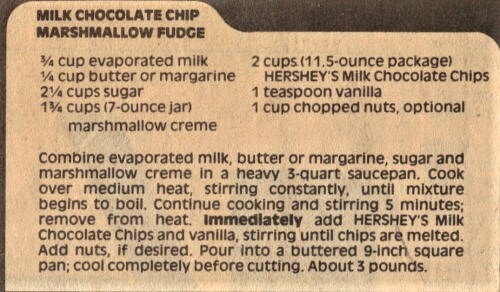 In a saucepan combine the brown sugar, the evaporated milk, and the butter, cook the mixture over moderately low heat, stirring, until the sugar is dissolved, and cook it, undisturbed, washing down any sugar crystals clinging to the side of the pan with a brush dipped in cold water, until it registers 238°F. on a candy thermometer. Transfer the mixture to a bowl and beat it until it is of spreading consistency. If the icing gets too hard to spread, dip the icing spatula in hot water. Transfer one of the layers, bottom up, to a cake plate, frost the top with the icing, and top it with the remaining layer, bottom down. Frost the top and sides with the icing. 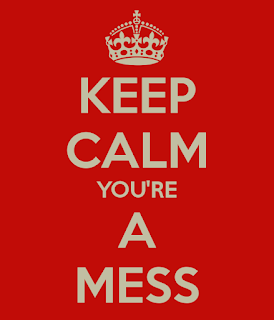 My Appalachian word this week is MESS. the one I am concentrating on this week refers to a MESS of food. 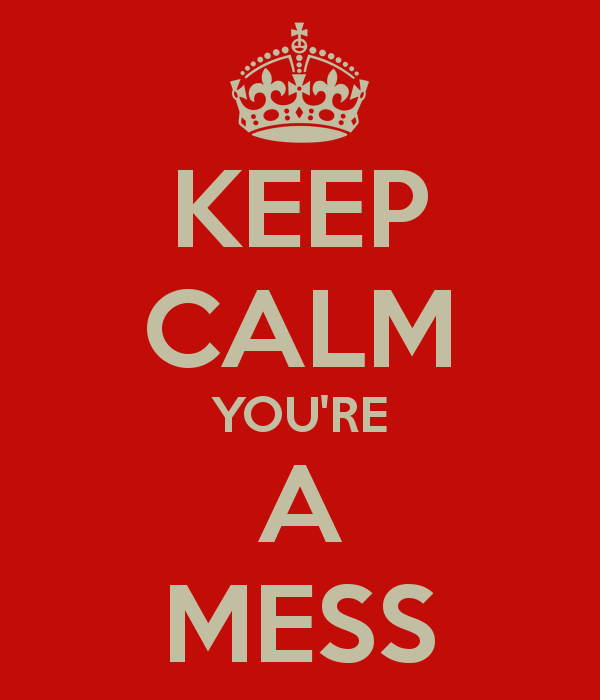 A MESS is the amount of a food item you gather for a meal. The size of a MESS varies, according to the number of people who will be eating the meal. That means a MESS for just me is much smaller than a group of six people. A group of twelve or more would require an even larger MESS. Although a MESS can refer to a variety of food items, in my family it generally referred to green beans, Swiss chard, tomatoes, green onions, or any other food we grew in our garden. It also referred to wild blackberries or other berries. However, in my household, we also gathered a MESS of uncultivated greens from our yard. Last week I told you about poke, but there are several other greens available. Greens that aren't as potentially toxic. 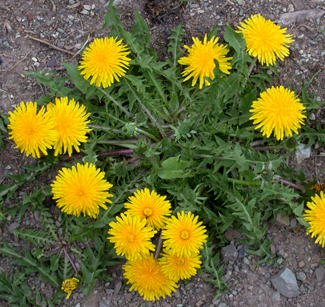 My mother regularly sent me out into the yard to collect plantin’, dandelions, and violets to cook up a good MESS of greens for dinner. She cleaned them up (you never knew which critter had stopped for a visit), trimmed them, and threw them into a pot of boiling salted water to cook. 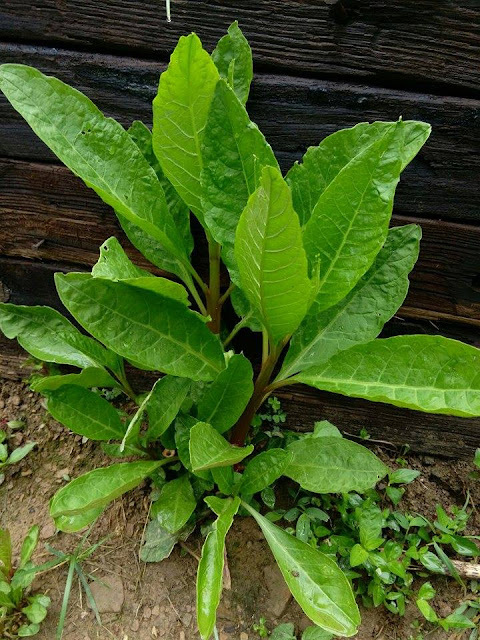 In an area where fresh vegetables were usually limited to what you had on hand, the variety of wild greens was a healthy change to the regular menu and extended the supply of canned vegetables from the previous year. 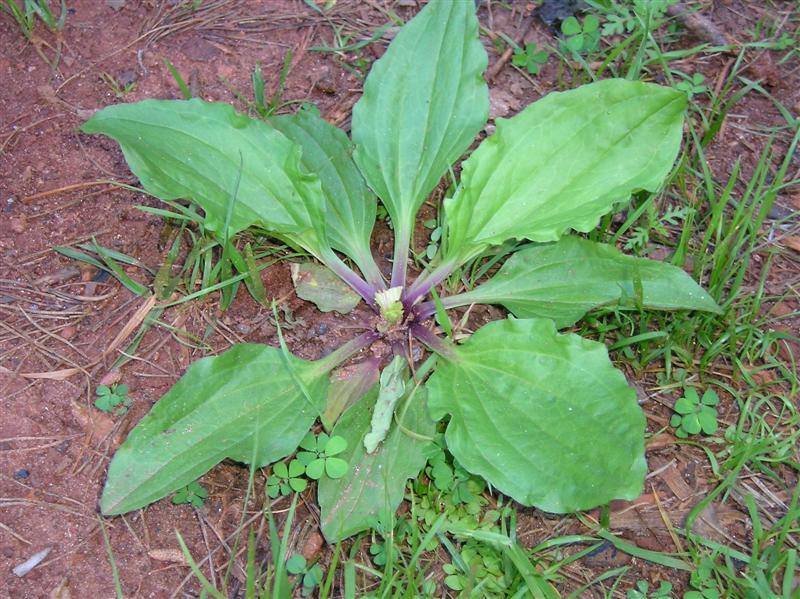 Have you ever eaten the weeds from your yard? If so, what did you serve up?